The Escape by Mary Balogh is a new romance title from Dell, released July 1, 2014 and available from Amazon. Release by Elizabeth Dunk is a new romance title from Escape Publishing, released July 1, 2014 and available from Amazon. What if there was a scientific 7-step formula that triggered your heart into feeling passion? Would you follow it to fall in love with your 'nice guy' bestie - the sensible choice who was actually available? Set in the glittering lower north shore of Sydney, Love by Numbers follows the story of April, a successful HR executive who is in the middle of a serious man drought. To deal with her boredom, she fantasises more than she should about her hot, but uninterested-to-say-the-least office crush, Ryan. When April finally gets Ryan to drinks one night and she watches him fall for her flirtatious house-mate, April decides to never again trust her instinctual 'man-picker'. Her only solution is to rewire her brain, and create passion with the one guy she knows she can trust. This is a story about how far you can go to control your heart's choices, and what happens when you try. 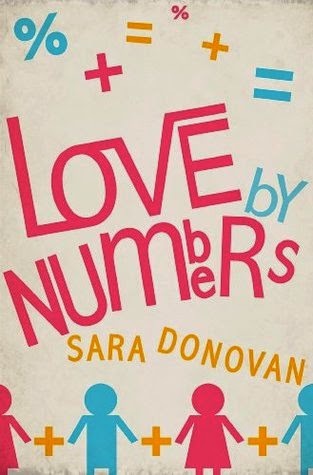 Love By Numbers by Sara Donovan is a new romance title from AUS Impulse, released July 1, 2014 and available from Amazon.